Plenty of meaningful games are on the slate in the final weekend of the regular season! The Sol will face the Flyers in round one of the South Division playoffs. Photo: Austin Sol. 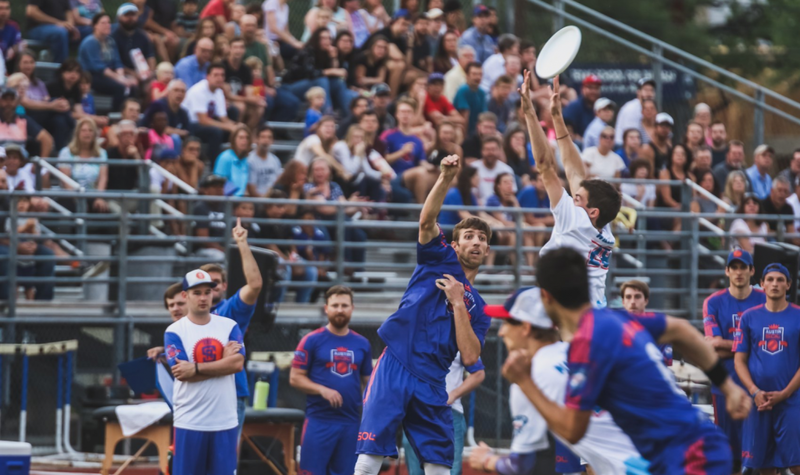 With every game going to the favorite this week in the AUDL, we will focus on the playoff scenarios — whether confirmed or still to be determined — in each Division. Alright, grab some popcorn for some more ridiculous drama in the South. After Atlanta’s loss to Raleigh on Saturday, Austin simply needed a win over Tampa Bay on Sunday afternoon to lock up the third and final bid. With Tampa leading 7-6 at the end of the first quarter, thunderstorms put the game into a delay. After an extended stoppage, Tampa left the game — reportedly agreeing to a forfeit — to make sure they could make their flights back to Florida. Austin crowed on Twitter that they had earned their first-ever South Division playoff spot. Not so fast. 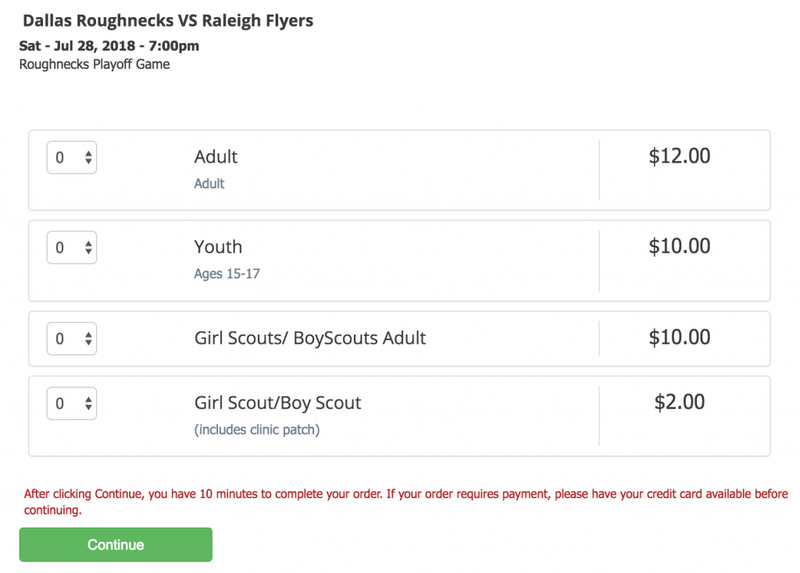 The AUDL’s bylaws do not allow for forfeits, at least not without the forfeiting team paying a large fine. The game, which hadn’t reached halftime, was considered cancelled and would need to be made up. Of course, with just a week left in the regular season, that wouldn’t be easy. Tampa Bay, of course, didn’t want to buy last-minute flights to go back to Texas for a game that meant nothing to them, even though the game would have playoff implications (Atlanta could still nab the final spot if Tampa defeated Austin). After many hours of deliberation and an Executive Council meeting, the South teams all signed off on allowing a forfeit, granting Austin the playoff spot.3 Tampa Bay was fined an undisclosed amount for forfeiting. Because Austin made the playoffs, the #2-seeded Raleigh Flyers will travel to Texas to start the postseason. Raleigh will face Austin on Friday, July 27th, and the winner will take on Dallas on Saturday the 28th. Dallas throwing a little shade towards the Sol in their playoff ticket sales page. Madison locked up the #1 seed and home field advantage throughout the postseason4 two weeks ago with a home win over Minnesota. With Indianapolis’ victory over Chicago this weekend, Indy has claimed the #2 spot and will play host to Minnesota on July 21st in the first round. West teams did not play this week, so everything remains the same as it did a week ago. Because the West has just five teams, only two teams make the playoffs. The Aviators have locked up the #1 seed, but San Diego, San Francisco, and San Jose are still alive for the final spot. Here’s a look at how it could go down. First, an easy scenario: if San Diego wins against LA, it’s over. The Growlers will clinch the 2nd spot. If San Diego loses, however, then things get tricky. Both San Jose and San Francisco need a win against Seattle (who’s coming to the Bay for a two-game road trip) to have a shot. If SJ wins but SF loses…then San Jose will go to the playoffs because they own the season series over San Diego. If SF loses but SJ wins…then San Diego will qualify because they own the season series over San Francisco. If both SJ and SF win…there will be a three way tie at 6-8. SF has the head-to-head over SJ. SJ has the head-to-head over SD. SD has the head-to-head over SF. So it would go to the three-way head-to-head record. San Francisco has the edge there, with a 4-3 record vs. the Spiders and Growlers. San Diego is 3-3, and San Jose is 3-4. So San Francisco would advance to the playoffs. If Seattle wins both games…Seattle would tie San Diego at 6-8, but San Diego owns the head-to-head. (So Seattle is already eliminated). San Diego would advance. The Toronto Rush have locked up the #1 seed and the DC Breeze have clinched a playoff spot. New York is in the driver’s seat for the final berth, while Montreal still has an outside shot. The New York Empire have a back-to-back against the Breeze and Phoenix this weekend. One win and they’re in. But if they go 0-2, Montreal can swoop in and steal their playoff spot if they defeat Ottawa on Sunday. Here’s how it all shakes out. If New York defeats DC…the Empire get the #2 seed and the Breeze get the #3 seed. If New York loses to DC but defeats Philadelphia…the Breeze get the #2 seed and the Empire get the #3 seed. If New York loses to DC and Philadelphia, and Montreal defeats Ottawa…the Breeze get the #2 seed and the Royal get the #3 seed. If New York loses to DC and Philadelphia, and Montreal loses to Ottawa…the Breeze get the #2 seed and the Empire get the #3 seed. Comments on "AUDL Throwaround: Playoff Scenarios Edition"